Hi, I’m Paul Martin from Darling in the Western Cape. 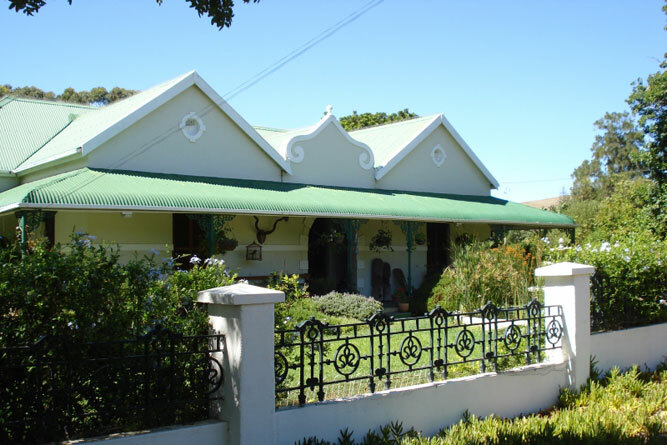 Darling IS BEST KNOWN FOR its wonderfully diverse spring flowers, the Voorkamerfest Theatre and Arts Festival, Evita se Perron (the home of Tannie Evita Bezuidenhout), great wine farms, art galleries, country-style restaurants and bistros, the Duckitt orchid nursery, the friendly small-town atmosphere and relaxed country life. GET YOUR PICTURE TAKEN AT Evita se Perron where you can pose as “the most famous white woman in South Africa” and take a humorous trip down South Africa’s memory lane at Boerassic Park. 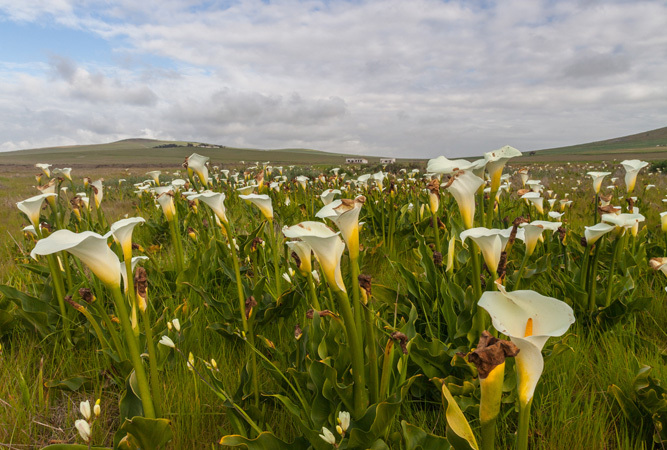 THE BEST spring flower PICTURES CAN BE TAKEN AT the Tinie Versfeld Wildflower Reserve, Waylands Flower Reserve or at the orchid open days at Duckitt Nurseries on the first Saturday of the month from May to November. OTHER HAPPY SNAPS CAN BE TAKEN while sipping wine at some of the local wine farms like Ormonde, Cloof, Darling Cellars, Groote Post and Tukulu. WHEN THE WEATHER’S GOOD, I LIKE TO cycle around the village and farmlands with my camera. The Nguni cattle at Oude Post Farm are particularly beautiful with their speckled hides and long horns. WHEN THE WEATHER’S BAD, I LIKE TO browse the amazing selection of books at Book League. MY FAVOURITE BREAKFAST SPOT IS Chicory Cheese Café or Brig’s Barn. FOR LUNCH, I SUGGEST The Marmalade Cat. MY FAVOURITE RESTAURANT IS Bistro Seven, TRY THE Eisbein. BEST LATE NIGHT SNACK FROM Café Mosaic, known by the locals as ‘The Stoep’. MY FAVOURITE bargain hunting SPOT IS The Mantis Trading Store. FOR A NIGHT OUT ON THE TOWN TRY Kraalbosdam on a Friday night. IF YOU WANT TO MEET LOCALS, GO TO the Darling Country Market on the first Saturday morning of the month at the Nitrophoska Building. Darling’s BEST KEPT SECRET IS the local butchery, Darling Vleismark, perfect for stocking up before returning to the city. And don’t miss the cheap homemade jams at the till! MY FAVOURITE THING TO DO WITH FRIENDS IS enjoy the local beer, Darling Brew, available at most restaurants in Darling. FOR SOME CULTURE , I LIKE TO GO TO the Voorkamerfest in September, where performers from South Africa and around the world give intimate performances in the ‘voorkamers’ (lounges) of houses in Darling. It is not to be missed. TO RELAX AND RESTORE MY SOUL, I LIKE TO enjoy the beautiful surroundings. IF YOU’RE FEELING ADVENTUROUS, TRY making your own wine at the annual Darling Cellars Crush Day. 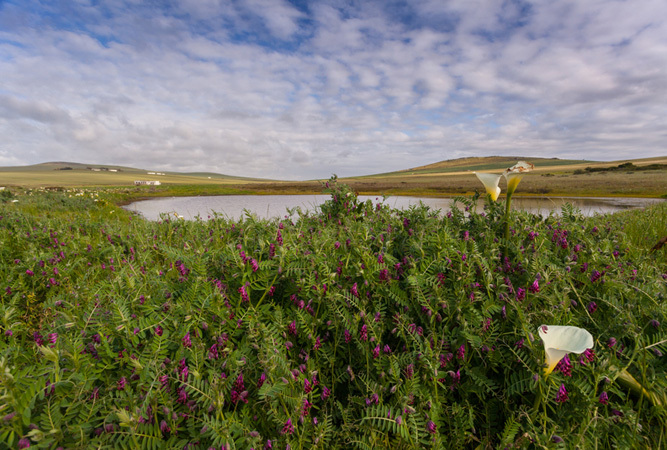 MY FAVOURITE WALK IS with my dogs at the Renosterveld Reserve at the top of the hill, where you have panoramic views of the village and surrounding farmlands. MY FAVOURITE gift and homeware SHOP IS is the beautiful warehouse at the back of The Marmalade Cat. MY FAVOURITE bird WATCHING SPOT IS from the kitchen window at Aloe Cottage, where the weaver birds put on a fantastic display building their nests and showing off their dexterity. IF YOU’RE HERE IN July, JOIN IN THE FUN AT Christmas in July at Evita se Perron. MY FAVOURITE MUSEUM IS Darling Museum. Discover how Darling got its name and don’t miss the little shop; Ouma’s Treasures. MY FAVOURITE BUILDING IS Koekemakranka Backpackers, FOR ITS creative and whacky interior, created by local artist and co-owner Omnia Grobler. TRAVELLING WITH CHILDREN? A FUN OUTING IS Lelieblom Farm Restaurant where the kids can see and touch farm animals. Enjoy a lazy weekend lunch where you dine with your hosts and enjoy true country hospitality. BEST CHEAP AND CHEERFUL OUTING IS taking a leisurely drive around the countryside. WHEN MONEY’S NO OBJECT, I LIKE TO go wine tasting, stock up my cellar with excellent local wines, then enjoy a celebratory meal at Hilda’s Kitchen at Groote Post. 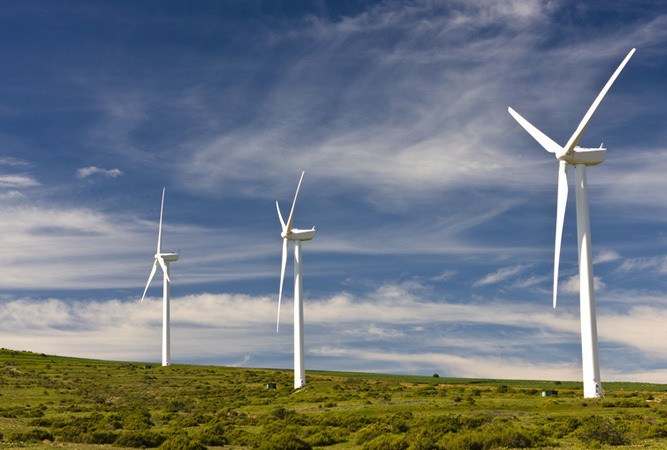 THE MOST UNUSUAL THING I SEE HERE IS the difference that one person, Pieter-Dirk Uys, has made to a community by putting Darling on the map and giving so much to support development projects in the area. 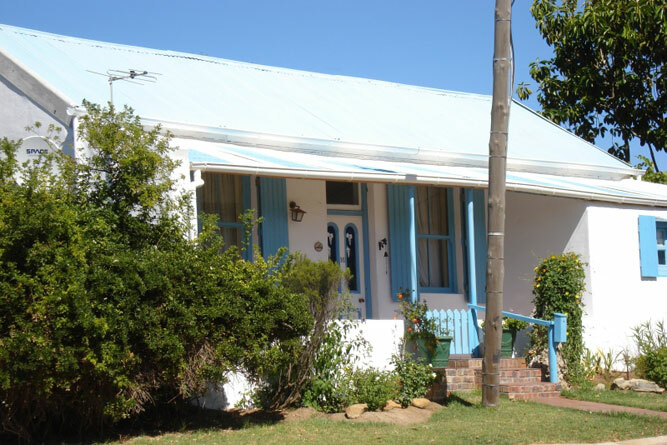 MY FAVOURITE WEEKEND GETAWAY IS Aloe Cottage, of course! WHEN I WANT TO GIVE BACK TO THE COMMUNITY, I support The Darling Trust. 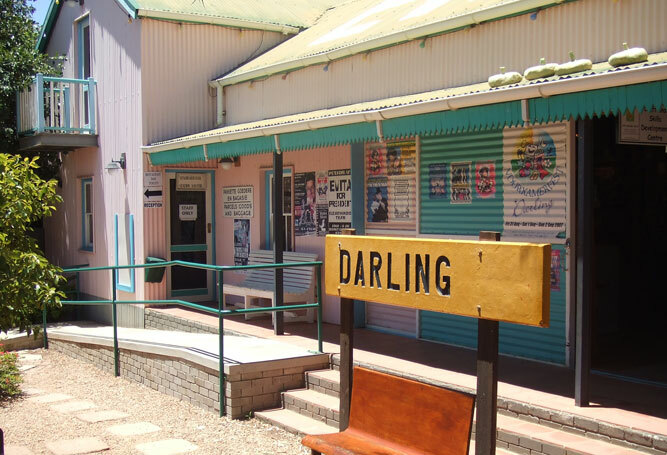 I Love Darling BECAUSE the people are friendly and welcoming, the village is authentic and not overly touristy, and it’s an hour from Cape Town… but a world away!